In the wake of new cookie legislation in Canada and the EU, the New York Times reported . The move fits nicely with Twitter’s vision of being about the transmission of news and information from user to user, as compared to Facebook which conveys information about the user itself. In addition to Firefox, Chrome and IE also offer the ability to enable Do Not Track, and Yahoo has plans to introduce in the near future. When the DNT is enabled in the browser, Twitter can’t track that page visit. Mozilla reports that adoption rates for Do Not Track are currently around 9% for desktop users, and 19% for mobile users.that Twitter has allowed Firefox users, and those of browsers with similar capabilities, to enable “do not track” mode. This allows Twitter users who have enabled DNT to opt out of the cookies that collect personal information, as well as third-party cookies; it provides them the choice to avoid being tracked. It seems incongruous with the nature of social media, but represents a huge move in providing choice, privacy and differentiation from other social networks. In a new twist on review solicitation, customers have the opportunity to post a positive or negative review of a Sears product. Then they have the option to vote for a charity. Sears donates money for each vote and every other week; they eliminate the charity with the lowest number of votes. The last charity standing wins $100,000 for their cause. Sears gets reviews, the charities make money, consumers feel heard…and all of this happens within a Facebook page. This morning, 80 million Google Places pages were converted by new Google+ Local pages, evidence of the predicted convergence of Google Places and Google+ Pages. This is part of a series of changes that will affect business owners who have pages on Google+ that started with the appearance of a Local tab. 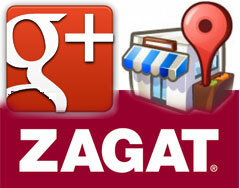 If you are logged into Google+, Local information will be available in all searches and through Google Maps. It is also available through Android phones. If you are not logged in, you will still see Zagat reviews, but will not have access to customized preferences like where those in your Circles dine. The new functionality also features integration with Open Table.The Local tab provides insight about the places near where the user may be; as an example, finding a restaurant near a museum you are visiting. 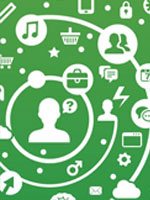 It further provides the ability to share that information amongst your Circles. Leveraging their purchase of Zagat, pages are populated with Zagat scores, reviews and summaries. What’s caught your interest in social media this week?